A beautiful mandarin duck is captured and caged by a greedy lord who wants to show off the bird's magnificent plumage. But the wild creature pines for his mate. When Yasuko, the kitchen maid, releases the bird against her lord's command, she and the one-eyed servant, Shozo, are sentenced to death. The grateful bird intends to return their kindness, but can he outsmart the cruel lord? Winner of the Boston Globe/Horn Book Award for Illustration, and a New York Times Best Illustrated Children's Book of the Year. Katherine Paterson is a legendary children's books author whose work has garnered many awards, including two Newbery medals (Bridge to Terabithia in 1978 and Jacob Have I Loved in 1981), two National Book Awards (The Master Puppeteer in 1977 and The Great Gilly Hopkins in 1979), and the Laura Ingalls Wilder medal for her substantial and lasting contribution to literature for children. Some of her other award-winning books include Come Sing, Jimmy Jo, Flip-Flop Girl, Lyddie, and Stories of My Life. She served as the National Ambassador for Young People’s Literature for 2010-2011 and is currently vice president of the National Children's Book and Literacy Alliance. She lives in Vermont. Diane Dillon was born in Los Angeles in 1933. She met her future husband, Leo, when they were both studying at the Parsons School of Design in New York in 1953. They married in 1957 and became an iconic artistic duo. 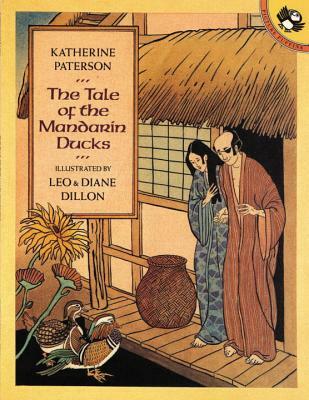 The Dillons are the only illustrators to win the Caldecott Medal two years in a row, which they did in 1976 and 1977. They produced more than 100 speculative book and magazine covers together.